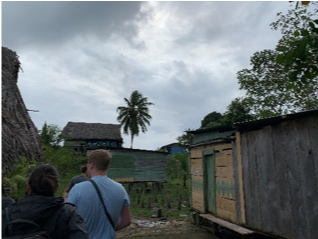 On Wednesday, March 20, 2019, we started the day by heading to Popa 2, a very small community of about 300 people. The small community had buildings spread out over a hill that led up to their school, a well, and a water catchment system. 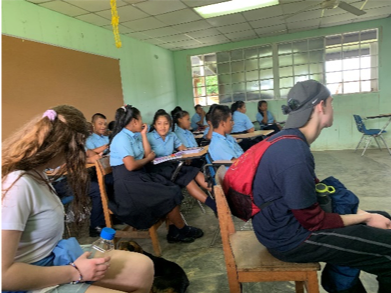 The school was one building with 5-6 separate rooms, where children of different ages were participating in class as we arrived. After collecting water samples, three members of our group gave a short presentation about water and the water cycle to the entire school. As the presentation ended, we went outside and continued the education on water by performing a body storming activity, in which the children joined. The body storming activity included us being raindrops, falling from clouds and landing on different surfaces such as plants, mountains, and water catchment systems. After our stop in Popa 2, we briefly visited Popa 1 where some additional water samples were taken. 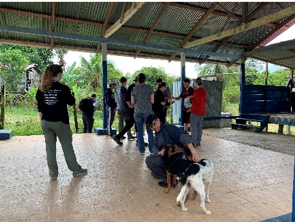 Next, we traveled to Coral Restoration Panama. Local craftsmen here build structures out of towels, PVC pipes, and concrete to blend into the natural landscape of the ocean. 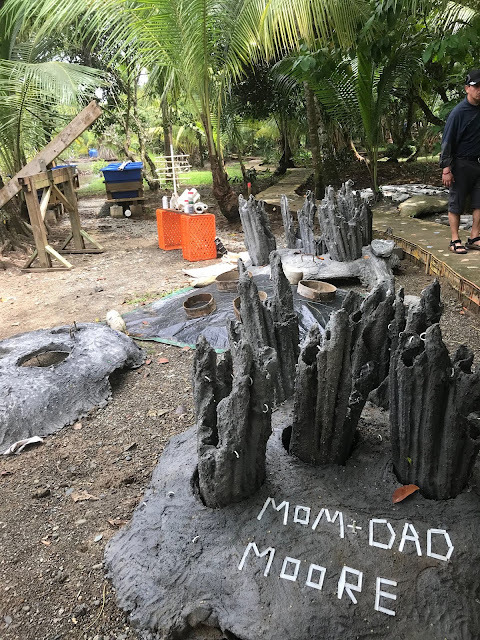 These structures provide shelter for fish and promote the recolonization of coral reefs. Several of the structures have been implemented and were seen during the snorkeling segment of our time on the island. For dinner, we went to a restaurant on the beach with a nice patio option where some shade could be caught. 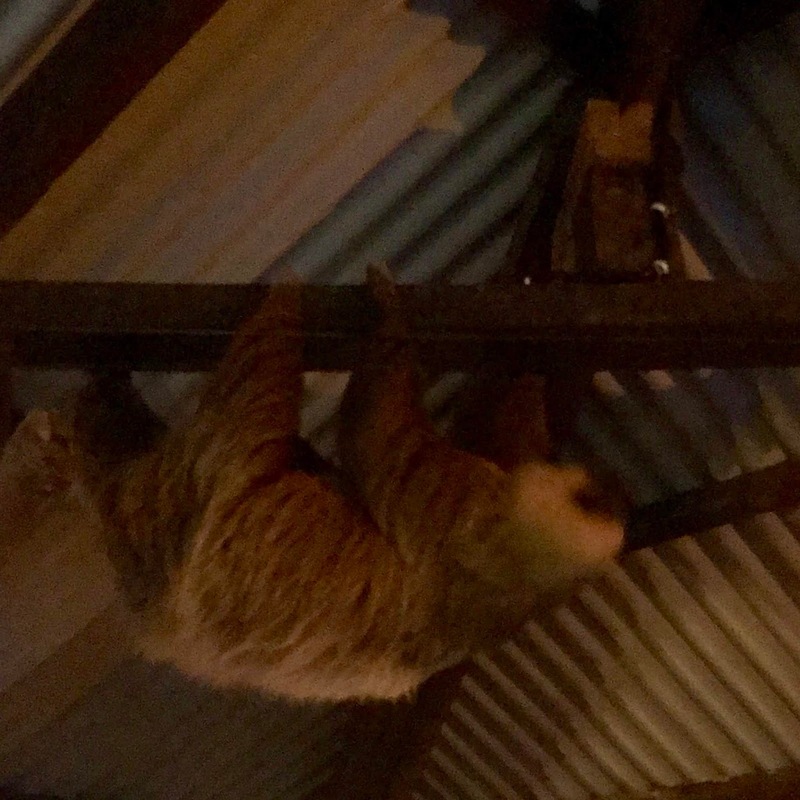 A sloth with her baby climbed through the restaurant where visitors could watch. Members of the group then headed to La Rosa for some hot tubbing before close. 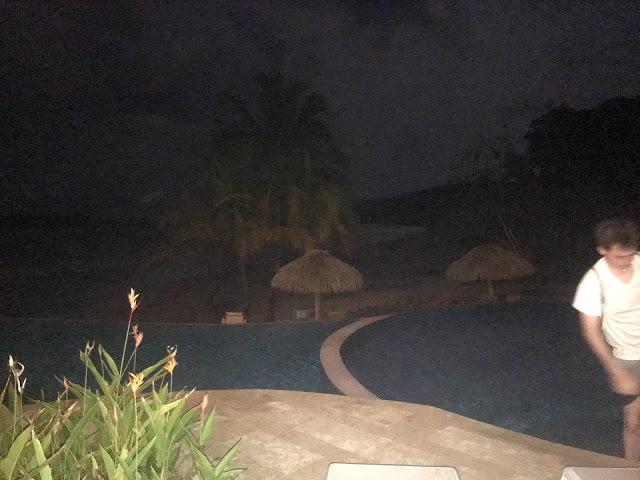 La Rosa is also located on the beachfront. Emma M. and Morgan M.